At Seneca Family Dentistry, we realize that replacing missing teeth can be an intimidating and even emotional transition. That’s why we are committed to treating each patient that requires restorative dentistry with the dignity and respect they deserve when restoring their smile. At our Wichita office, we offer the latest innovations in full and partial dentures, which include a variety of options to suit the needs and preferences of each individual patient. Regardless of how you lost your teeth, our dedicated dental team focuses on how we can help to restore your smile going forward. Our dentures are designed to improve your dental function, boost your smile aesthetics and improve your overall quality of life. In doing so, we adopt denture options that fit comfortably and look natural. With advancements in today’s denture technology, you should never have to settle for ill-fitting or bulky dentures. Seneca Family Dentistry offers full and complete dentures when patients need to restore a full set of missing teeth, which may include either the upper arch, lower arch or both. Our modern dental practice is equipped with 3D cone beam imaging and a team of talented implant dentists, which means that we are able to offer a number of ways to secure your full or complete denture set. Choose from removable or fixed denture options, including implant-supported dentures that offer the maximum level of smile security. Partial dentures are reserved for those that are only missing one or a few teeth. To continue our commitment to top quality restorative dentistry, our partials are fabricated with the highest quality materials and customized to match your natural smile. Partials are removable and can be an excellent solution when a dental bridge is not a viable or preferred option. 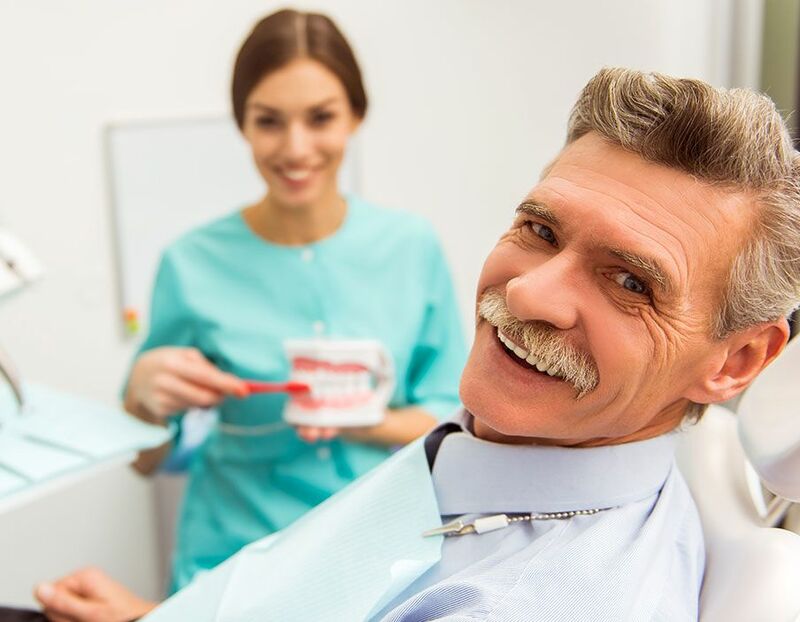 Whether you need an upgrade from your existing dentures or a brand new set, you can trust Seneca Family Dentistry for a rewarding experience from beginning to end. We value the importance of providing dentures that not only feel comfortable and look natural but those that are secure enough to allow you to maintain optimal nutrition as well. To learn more about our menu of complete and partial dentures in Wichita, please contact Seneca Family Dentistry today. You deserve a great smile at all stages of life.